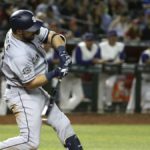 In a preview of this seasons Home Run Derby, the Padres and Diamondbacks combined to hit eight home runs on Tuesday night. But it was ultimately Arizona’s sluggers who would outlast the Padres 8-5. Eric Lauer took the hill for the Padres Tuesday night as they hoped to bounce back after Monday’s 10-3 loss. Lauer started strongly, but a few costly mistakes to Greinke cost him a chance at the win. On the offensive side, it did not take the Padres long to get on the board. After Manny Machado singled up the middle, Hunter Renfroe stepped up to the plate. While standing on first Machado forced Arizona’s starter, Zack Greinke, to throw over three separate times and mentally forgot about Renfroe at the plate. 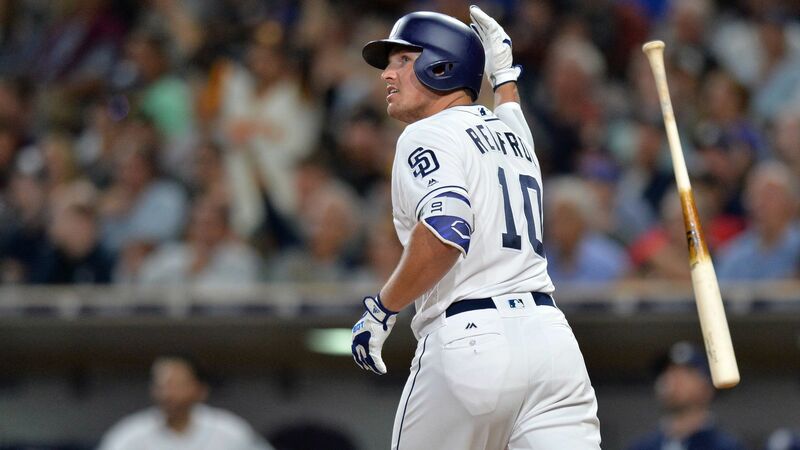 In his second start of the season and with two outs in the inning, Renfroe mashed a 1-2 pitch to deep center that flew off his bat at 100.5 mph, with a launch angle of 31%, and traveled 405 feet, giving the Padres a 2-0 lead. The Padres made it a priority to attack Greinke early on in counts. The trend continued in the second inning for the Padres with both Mejia and Margot hitting singles off Greinke. 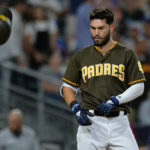 But the Padres could not capitalize off the back-to-back hits. 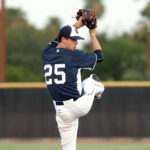 Lauer remained aggressive throughout much of his start and continually got ahead in the count against almost every batter he faced. Unfortunately for him, a few missed spots rained on what would have been a productive outing. Lauer ran into trouble in the fourth inning. 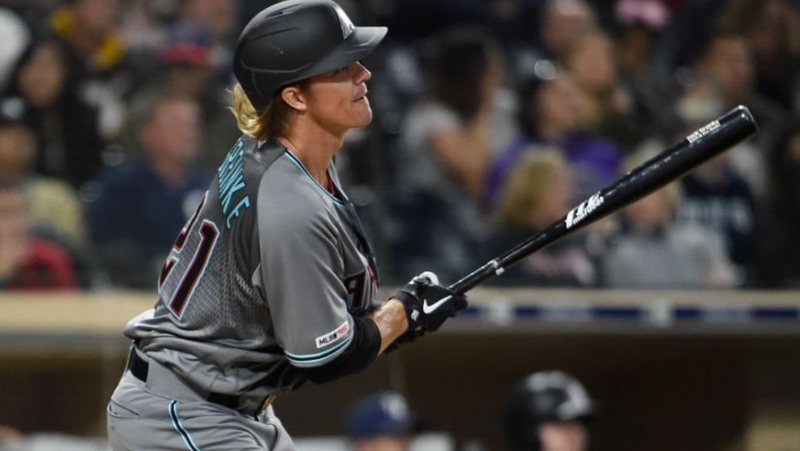 After getting the leadoff hitter to groundout, he gave up two hits and then a home run to the pitcher Greinke, which gave the Diamondbacks a 4-2 lead. Even though Lauer only went five innings, he was productive during his start. His fastball hovered around 90-91 throughout, he attacked the zone, and of the 75 pitches, he threw 54 were strikes. On the opposite side, after struggling through the first two innings, Greinke got into a groove. 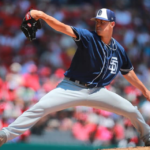 After giving up the home run in the first and the two quick base hits in the second, Greinke sent down the next 13 batters he faced and struck out 10 Padres throughout his six innings. Things went from bad to worse in the sixth for the Padres. After Lauer exited the game, Adam Warren entered for the Padres. Warren proceeded to give up back-to-back solos shots to John Murphy (436 feet), and Greinke (384 feet) giving Arizona a 6-3 lead. For Greinke, it was his first multiple home run game, and the first time he had hit a home run since 2015. 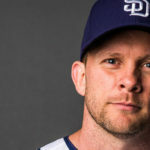 In the bottom half of the inning, Andy Green was ejected for arguing batter’s interference on Manny Machado. Machado hit a foul popup that the catcher dropped and the home plate umpire, Bill Welke, decided that Machado had impeded the catcher’s ability to catch the popup when Machado clipped his heal in the batter’s box, and tossed his bat near the catcher’s feet. It was a strange decision from Welke and Green let him hear it before getting ejected for the 10th time of his managerial career. It was not all bad news for the Friar Faithful in the bottom of the sixth, as Hunter Renfroe hit his second home run of the game. This one left the yard in a hurry and landed in the left field bleachers after being launched off his bat at 111.1 mph while traveling 373 feet. 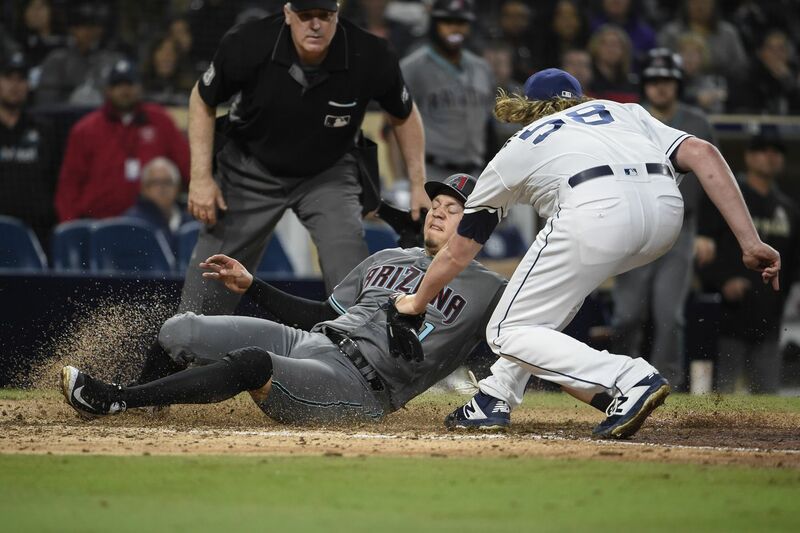 After Walker gave Arizona a 7-3 lead via another home run in the top of the seventh, Wil Myers came up to pinch hit in the bottom of the seventh. With Margot on base, Myers crushed an 0-2 pitch 381 feet for the eighth home run of the night, to cut the Diamondbacks lead to 7-5. In the final two frames, the Padres gave up a run via a wild pitch in the top of the eighth. In the bottom half both Tatis and Mejia hit singles to give the Padres a first and third situation with pinch hitter Franmil Reyes at the plate down 8-5 and two outs. Unfortunately for Reyes, he would ground into a fielder’s choice to end the inning. 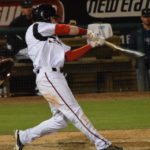 In the ninth Aaron Loup sent down all three Arizona hitters via strikeout, and the Padres came up in the bottom of the 9th down 8-5. Wil Myers led off with a single, before Kinsler flew out, Hosmer grounded out, and Machado struck out to end the ballgame. 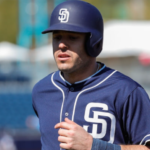 The Padres will try to avoid the series sweep tomorrow afternoon as Joey Lucchesi will make his second start of the season against Robbie Ray.